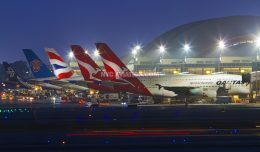 In an effort to build the “youngest fleet in the US,” American Airlines on Wednesday morning announced orders for 460 new Boeing and Airbus narrowbody aircraft, the largest in airline history. 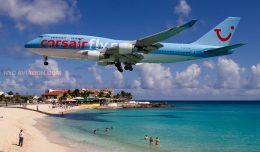 Ending weeks of speculation, the order will be split between the world’s two largest airframers, with further divisions among current generation and re-engined versions of the venerable 737 and A320 families of aircraft. Airbus A320-family jets will make up 260 of the new planes, including the first “neo” jets delivered to the United States. They have not yet said which A320 models will be delivered, but images on the American Airlines website seem to indicate A319 and A321 aircraft will be involved. 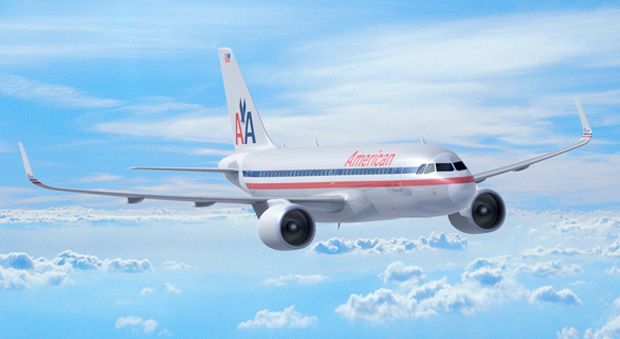 American says the Airbus deal offers the flexibility to pick any variant of the A320 family. Deliveries of 130 current generation aircraft will begin in 2013, while 130 neo’s will start entering the fleet in 2017. Boeing will also deliver 200 new 737’s, including 100 re-engined aircraft powered by CFM LEAP-X engines. Boeing has not yet formally announced its plans for this 737 update, but a decision is expected in the fall. The first 100 jets will be current generation 737s fitted with the Boeing Sky Interior. Like the Airbus deal, American will have the ability to choose from any plane in the current 737 catalog. 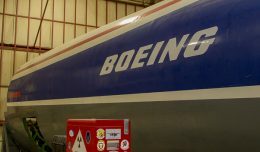 Boeing deliveries will also start in 2013. 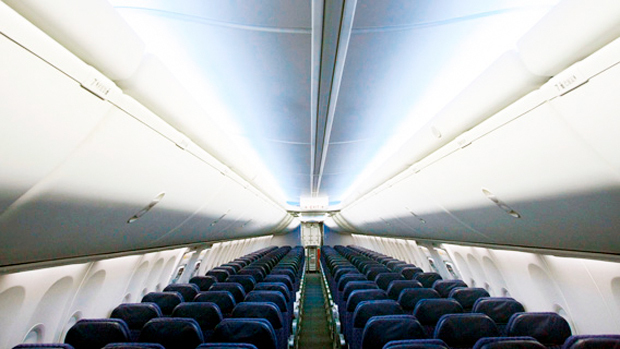 Boeing 737-800 with Boeing Sky Interior. 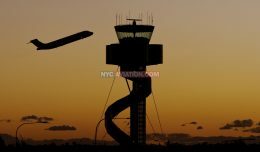 American will have substantial options on both orders, with rights to buy up to 365 extra A320s from Airbus, 40 additional current generation Boeing 737s and 60 re-engined 737s. The order marks the largest in history, breaking a record set by AirAsia last month when it ordered 200 Airbus A320neo’s. It is the first Airbus order from American since 1987, when it ordered the Airbus A300. An American Airlines news conference scheduled for 11 am EDT may shed more light on the details. 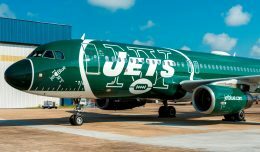 JetBlue Airways recently unveiled a newly updated "JetGreen", the airline's New York Jets special livery, at an event in New York City.